*$5, 000 towards closing! * Looking for an established neighborhood with room to roam?? 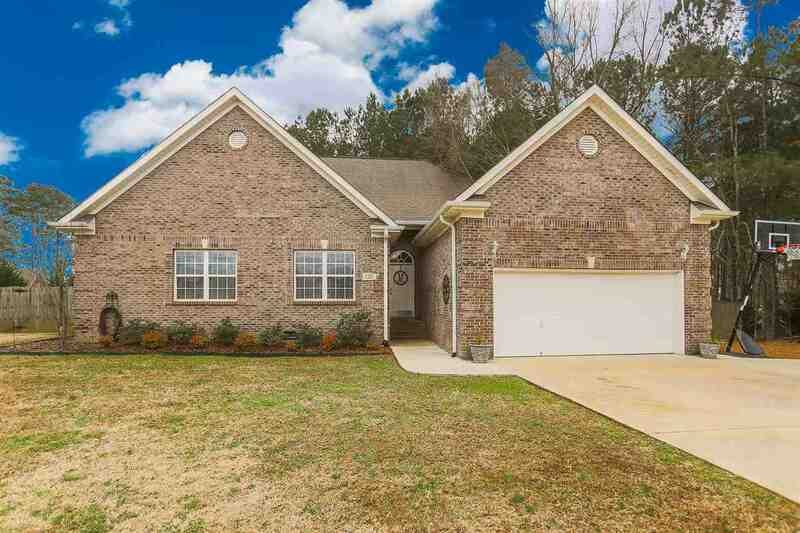 This Full Brick home located w/ a short commute to everything is just what you are looking for!Kitchen has been freshly painted, has corian counter-tops and stainless appliances. Family room w/ gas log fireplace is open to eat in kitchen. Designated office space , makes great play room as well. Flex space off the kitchen is great for hobbies & homework! Featuring over sized Master bedroom with en-suite bathroom & walk in closet. Double vanities, separate shower & jetted tub. Secondary bedrooms are on the same side of home as master & share full bath. Fully fenced yard and private back deck for entertaining!